This year, the National Notary Association held its annual conference in Dallas, Texas. More than 400 notaries from around the country, including myself, attended the conference. Session topics included marketing tips, mobile trust assignments, using technology on the go, and many others. One of the main topics covered at the conference was electronic notarization. What may have seemed impossible just a few years ago, is now being rapidly adopted by mortgage lenders and other entities in states that allow electronic notarizations. Electronic notarization is currently accepted in 23 states, including California, with more on the way in the near future. Montana, Florida and the commonwealth of Virginia, currently allow webcam notarizations. Other states are currently reviewing both electronic and remote notarization. Electronic notarization is different than remote notarization. While remote notarization uses a webcam and online identity verification services, an electronic notarization can be either remote or in person. Some lenders are now using digital documents, presented to signers on a tablet device. In this type of hybrid electronic notarization, a notary meets with the signer in person but simply uses a tablet with electronic documents. Any document that needs a notary’s stamp is completed on paper. This hybrid method merges the trust and security of face-to-face interaction with the ease of use of electronic documents. Although electronic notarization is currently acceptable in California, remote notarizations are not. One of the issues with remote notarization is identity verification. To combat fraud in remote notarizations, lenders and technology companies are using verification items found on confidential credit reports coupled with ID card scanning technology to verify a signer’s identity. One of the presenters at the conference suggested that this type of identity verification is actually more secure than a face-to-face ID check because of the added security questions. For those interested in ordering remote and electronic notarizations, I will be offering those services as soon as they are allowed and implemented in California. Check back for more updates on this topic. In addition to the panel discussion on electronic and remote notarization, there were sessions on other pertinent topics that proved invaluable. The presentation on mobile trust assignments by Laura Biewer of At Your Service Mobile Notary was my personal favorite. Laura was detailed, informative and gave valuable tips on streamlining mobile trust notarizations. The conference also provided opportunities to network and meet other professional mobile notaries. Staying current on legal issues, industry standards, technology and best practices are essential responsibilities of any successful notary. The 2017 NNA conference distilled all of this important information into two short days. 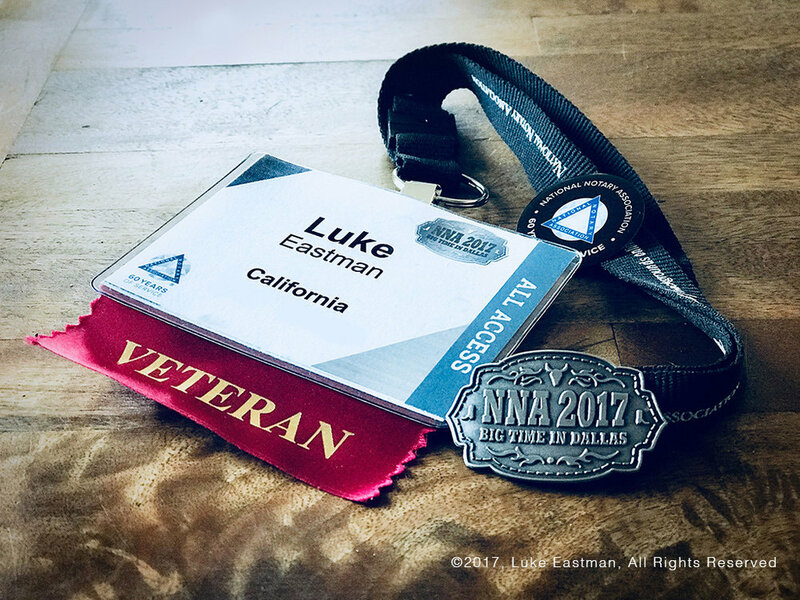 I look forward to attending the 2018 NNA conference in Las Vegas.